Odd greeting? Not so much. If you know anything about wolves, other than the fairy tail BS we hear from our childhoods, then you know that their pack consist of their families. There is a pack hierarchy to keep order within the family. 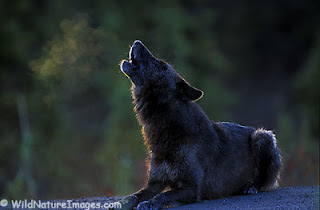 You have the alpha wolves who are allowed breeding rights, the right to eat first (usually they eat after the pups though), and ones who get to mark highest when posting scent marks. Then there are the Beta wolves. These wolves usually end up babysitting puppies when the pack goes to hunt. They're next in command. Lastly, there are omega wolves. Lowest in pack rank. You may think that these wolves must lead a miserable life. But an omega wolf holds some important responsibilities. Wolves, like people, need to blow off steam every once in a while. The omega wolves are wolves that everyone can pick on if they must. Usually alpha wolves control how much beatings an omega wolf gets. Omega wolves are also the wolves who like to initiate play. This binds the pack closer. Wolves need their omega, and they are just as loved as any other wolf in the pack. Packs cry for days when any wolf dies. I've found that the hierarchy in a typical family closely resembles the wolf pack. There are the alphas, our parents. Allowed to breed, they make the rules. Then the older children usually get the rank of Beta leaving the younger children as the omegas. Sometimes this gets really messed up. For example, my little brother Steven is definitely the alpha among the children, if not the alpha of the whole pack. It's amazing how much like wolves people really are. As will be posted later. Quote of the Day: "Throw me to the wolves because there's order in the pack." A beautiful start. I can't wait to read more.